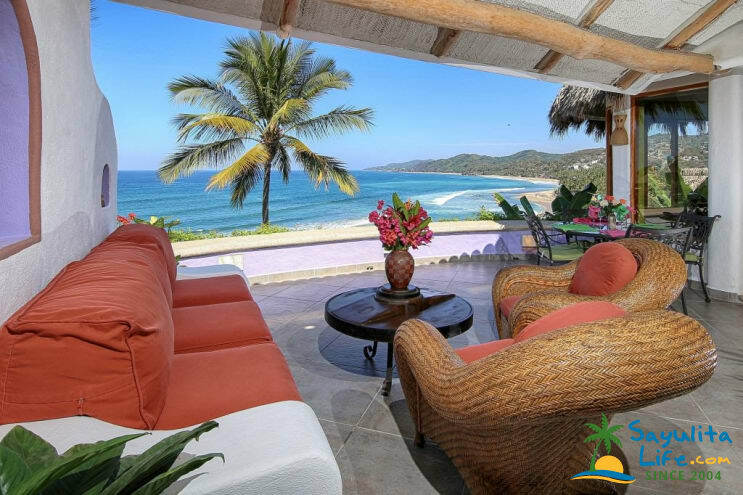 The Villa is Huge, as you can see from the photos: it can be rented as a One Bedroom, Two Bedroom, Three Bedroom, or Four Bedroom house, each one with its own Private Terrace overlookng the Pacific and Sayulita Bay, and five marble bathrooms. There is a full time, year around staff of three who have been with us for twenty years and live in a house we built for them outside the Main Entrance Gates...readily available, but never underfooot. You stroll down through the gardens onto the Beach: all the beach restaurants are only 100 yards walk along the sand: if you walk out the entrance gates you are in the Sayulita Plaza in less than five minutes. No need for a car. The upscale Villa is around six thousand square feet and accommodates up to Eight or Nine Guests in extraordinary comfort as you see from the Photographs and Guest Comments. This superb Colonial Villa is not at all like the typical rental property. Home to internationally-known artist, Evelyne Boren, when she resides in Mexico and filled with original oils and watercolors. Evelyne also has a house in Santa Fe, New Mexico where she paints and exhibits, spends seven weeks in Tuscany every Spring, painting and teaching. A year or so ago PBS produced a One Hour Television Special on the ten Leading Artists of New Mexico and Evelyne was featured as one of the ten Artists. Beautifully furnished and extremely comfortable you enter CASA BOUGAINVILLEA through wrought iron gates, descend a half circular stone staircase into the superb Living Room, 30 feet wide with 20 foot ceilings opening onto the Huge Terrace through glass doors with views in all directions over the Pacific. Ideal for breakfast each morning prepared by our housekeeper, Tomasa, and served by our maid, Chavela. Or enjoying a cool drink in the evenings while watching the sun set slowly over the Pacific Horizon. This exceptional private Villa sits high on the Oceanfront overlooking miles and miles of white sandy beaches as far as the eye can see, with steps down through the gardens onto the sand. Casa Bougainvillea has a full time, year around staff of three. The house-keeper, Tomasa, plus the maid and gardener who live adjacent to the property and are readily available as needed. The house offers four master bedroom suites (two with king-size beds and two with twin beds), and five marble bathrooms. Daily Housekeeping & Maid Service. CASA BOUGAINVILLEA is extremely peaceful and quiet. Our Superb Staff of Twenty Years will take extraordinary good care of you and if you are like many of our Guests will be loathe to return home and once again face reality. We had 10 adults for a week at Casa Bougainvillea and we had an amazing time. You never know how the pictures will compare in real life, but these were spot on. The views and private bedrooms/bathrooms were wonderful. Tamra and Theo were very helpful and great to work with on logistics and were very responsive. Maria and Erika made a wonderful breakfast for us every day (except Sunday). They cleaned the entire house every day, changed out towels and beach towel as needed. The guys caught some great fish and Maria and Erika cooked us a wonderful dinner. The fish was amazing and the vegetables were cooked to perfection. They went above and beyond to take care of us while we were there. The house is in a great location, quick walk to town down the road or you can take the stairs to and from the beach. The views are breathtaking! Our family of 10 were so lucky to have stayed in this beautiful house with a spectacular view. Maia and Erika took great care of us cooking us delicious breakfasts and cleaning our rooms. We had a wonderful staying in this beautiful home. The bedrooms and baths are all private and spacious. The common spaces are so beautiful you almost don't want to leave. Maria and Erika cooked us delicious breakfasts every morning and took great care of us. We rented a golf cart which helped the elders in our group get up the hill as there are many steps from the beach. The location of this house is 2 blocks from the town center, a perfect location. We hope to return and to be so lucky again to rent this property! Our stay at Casa Bougainvillea was fantastic, the only down side was our beds and bathrooms were only made and cleaned 1 time in 4 nights, and the breakfast menu was not as promised as we were served the same thing everyday (fruit, toast and coffee). Our transportation was set up impeccably, and they were on time. Management was quick to respond. 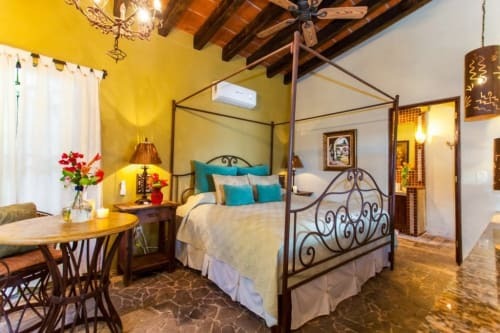 Our recent stay at Casa Bougainvilla was truly amazing. The home is beautifully appointed, the views fantastic. Our staff, Tomasa & Maria took wonderful care of us, preparing amazing breakfasts for us each day. We also had them prepare a delicious dinner for us a couple of times. The house is just minutes from town. It is a steep walk down and our younger guests had no issues walking back up. We opted for a taxi which is easily caught in the town square. All bedrooms are very comfortable with great bathrooms. We enjoyed the pool in the afternoons. We will most definitely stay in this home again! We loved the home and Maria and Isabella cooked amazing breakfasts for us each morning (and did a great job cleaning as well). The steps were a little steep to the beach for my parents (in theirs 60s) but provided quick and easy access. The beds were comfortable in each of the rooms. And the views were unbeatable! Our family of 8 adults stayed over Thanksgiving. It rained EVERY DAY! BUT, the great main room allowed all of us to congregate and play family games etc---- Were it not for the comfortable, beautiful home, the vacation could have been a disaster! Tamra, the agent, responded quickly to any questions. Every bedroom was a master suite. Spectacular view. Loved it! Wonderful location and excellent staff! We thoroughly enjoyed our time at Casa Bougainvillea with a small group of our close friends, we surfed, rented a golf cart and explored the town and the many great places to eat. We will have to spend more time at this beautiful resort as just a few days was not enough to fully explore and enjoy the area. Wonderful time at Casa Bougainvillea! I'm writing to tell you what a wonderful time we had in Sayulita at Casa Bougainvillea. First off, what a gorgeous house and location! It was just as good or better than the pictures and virtual tour. We could not have picked a more comfortable home. The amenities were perfect and made our stay in Sayulita A++. The weather was beautiful every day and we spent most of our time on the beach - lounging, surfing, boogie boarding, reading, people watching, drinking cervezas, and enjoying the beautiful scenery. It was fantastic being so close to the center. Our boys were able to go get fish tacos and Cokes whenever they wanted, which was pretty much every two hours! At night we would either cook a big feast or walk into town to enjoy the local food and people. All of us fell in love with the town and immediately talked about when we could come back and how long we would stay. It's safe to say we will be visiting Sayulita again! We also thoroughly enjoyed reading about Evelyn's (and your) life in Joie de Vivre, not to mention enjoying the beautiful artwork! It definitely made us all want to push the creative envelope more than we have, which is a good thing to take away from there. Tomasa and crew were very kind and it was fun trying to converse with us having limited Spanish and them having limited English. By the end of the trip a lot of my high school Spanish started coming back to me. My husband and I stayed in the casita, which was so relaxing, the 3 boys stayed in the guest suite, and our friends stayed in the master suite (we lost the coin toss on that one). After we left Sayulita, we went and stayed at the Westin on the marina. I'm sure there's a lot of people that like that area, but it couldn't hold a candle to where we had just come from. All we could think about was how much fun and relaxation we had at your house. Thankfully we only had 4 days there.Thanks again for making this trip work for us! It's safe to say you will be hearing from me again in the future. 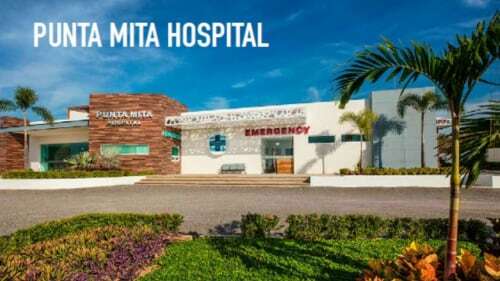 I stayed at Palapita Evelyn for the last week of my months stay in Sayulita. I have to say that it may very well be my most favourite place on earth! I was travelling alone so had a bit of concern about renting a place with no walls!! But, it turned out to be the property that I felt most safe at. To wake up to the sounds of the waves and walk down from your bedroom loft and look onto the expanse of the ocean in your living room is just something I will savour forever and never forget. The kitchen facilities are wonderful. The living room/ deck area is big enough for you and about 50 friends…or just me. The cleaning service was great. I can't say enough about how much I enjoyed living in this property…if only for a little while. I will definitely be back next year. We are trying to adjust to a bone chilling Santa Fe. Thank you for a wonderful ten days, both in San Pancho and Sayulita. Everything exceeded our expectations. What a wonderful stay! We accept Paypal, personal checks, wire transfers and credit cards. CASA BOUGAINVINLLEA: 4 MASTER BEDROOM SUITES, each one with its own private Terrace overlooking the Pacific and 5 Modern Marble Bathrooms. Superb Living for 8 or 9 Guests. Over 6000 square feet. Includes Daily Housekeeping and Maid Service (except Sunday) as well as breakfast Monday through Saturday. 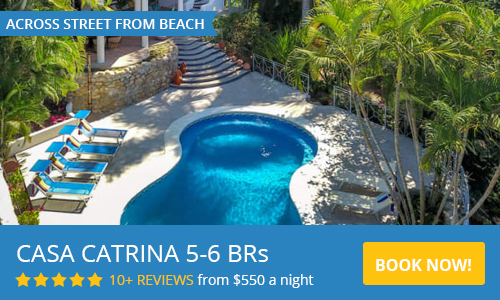 Christmas/Easter, $1300 usd per night, one week minimum. BOUGAINVILLEA CASITA: Can be rented seperately, based on availability. One bedroom en suite with king-size bed. Living Room, Terrace overlooking the ocean for outside dining, A/C, private entrance, daily maid service, purified water, steps down to the beach and sand. $1,400 USD per week In-Season or $1000 USD per week Off-Season. PALAPITA EVELYNE: Located on the stairway to the beach. One master bedroom en suite, king size or or twin beds, huge deck right above the Beach, fifty feet from breaking surf, and ten steps down onto the sand. Second bathroom on Main Floor. 100 yards walk along the sand to all Beach restaurants. Very romantic and spacious with views of miles and miles white sand Beaches. $1,225.00 USD per week for two guests. I am a full time resident of Sayulita for the past 16 years. My husband and I manage vacation rentals and are the co-founders of the Costa Verde International School. We love Sayulita and sharing our beautiful town with vacationers!